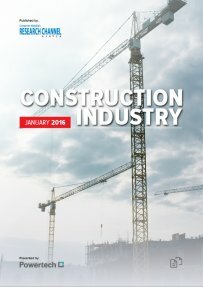 Conditions were challenging for the South African construction industry in 2015, owing to the lack of recovery in the economy and low national infrastructure spend, coupled with overcapacity in the construction market and low margins; it is clear that the construction industry is continuing to struggle. The outlook for 2016 is not optimistic, with analysts forecasting a further weakening in construction activity. Creamer Media’s Construction 2016 Report examines South Africa’s construction industry over the past 12 months. The report provides insight into the business environment; key participants; local demand; geographic diversification; corporate activity; black economic empowerment; competition; the sector’s shortage of skills, which threatens to derail government’s plans to spend R4-trillion on infrastructure over the next 15 years; safety issues and environmental considerations. Published on: 29 January 2016.